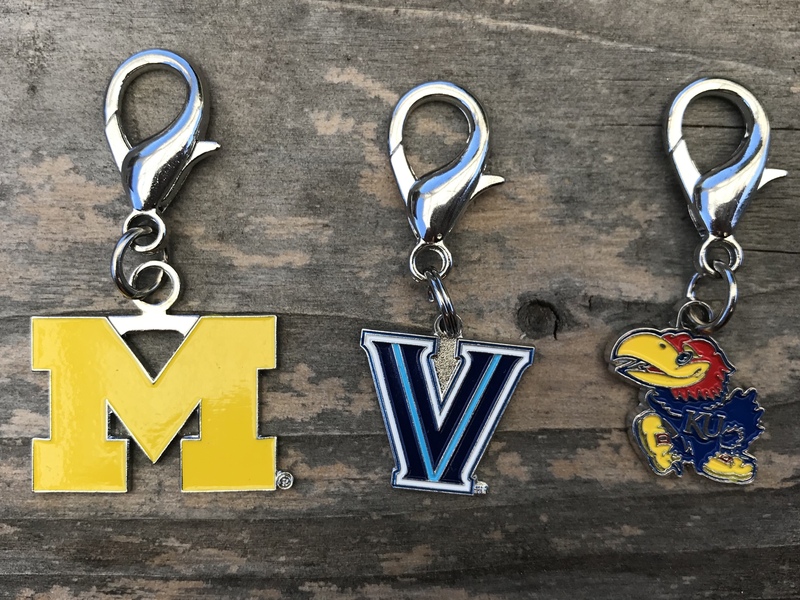 Perfect gift for four-legged fans of America's top colleges and universities. These jewelry-quality charms are hand- enameled in the teams colors. They also have easy-open lobster clasps for adding or removing them from your pets dog collar d-ring. They are guaranteed to get a cheer from your sports fan. If your dog is inclined to the finer things in life, check out our designer charms. There is something for truly, everyone in our charm collections.